A reminder for readers: Phoenix Books will be hosting Star Wars Reads Day and a launch event for War Stories: New Military Science Fiction on Saturday, October 11th. Star Wars Reads Day is a national event that celebrates reading and Star Wars. It was created by Lucasfilm and its publishing partners–Abrams, Chronicle Books, Dark Horse, Del Rey, DK Publishing, Random House Audio, Scholastic, Titan Magazines and Workman. The first Star Wars Reads Day took place in October of 2012. We’ll be hosting a reading, Q&A and signing for the anthology. F. Brett Cox and James Cambias will read their stories. Don’t let us be the only ones there! A long time ago, in a galaxy far, far away (well, not that far away) comes an epic arrival! The Odyssey Bookshop celebrates in true rebel style, with the New Tork Time bestselling author of The Spiderwick Chronicles, Tony DiTerlizzi! Grab your lightsaber, don your jedi robe and head down to the Odyssey Bookshop to celebrate with us. Slurp down jello space drinks, chomp down on jedi cake and learn the power of the force with Master DiTerlizzi. 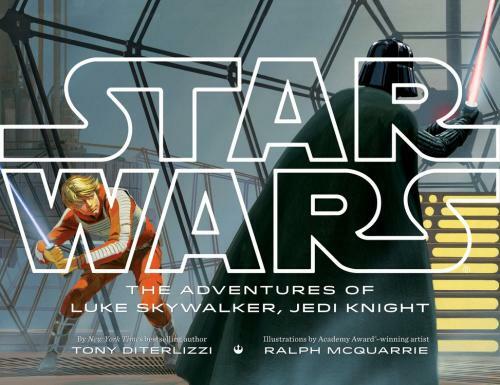 Deluxe picture book featuring vintage art from Star Wars concept artist Ralph McQuarrie, paired with captivating text by a high-profile author. Harwood Union High School shows off their geeky side with a rendition of the Star Wars main theme during the Vermont All State Parade earlier this week in St. Johnsbury, joined by two members of the 501st Legion’s New England Garrison. The lower end of Church Street Marketplace was home to a small squad of Stormtroopers and a Ghostbuster this weekend. 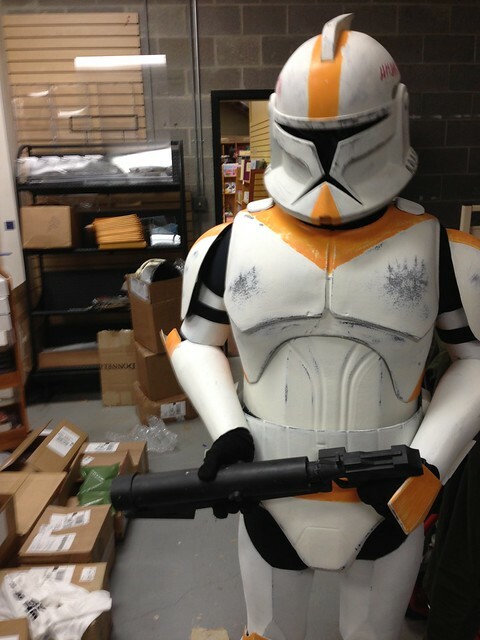 The official story is that they were there to support Earth Prime Comics for Free Comic Book Day, but the unofficial one is that they were looking for a certain Jedi Ghost. As hinted during the wrap-up of their Ravenloft campaign, the players of NERPA turns their sight to the stars and the wars among them. This week kicks off their Star Wars miniseries Halfway to Han. So, the big news of last week was Disney’s acquisition of Lucasfilm, which brings Star Wars, Indiana Jones, and Willow to Disney’s impressive stable of properties. Along with the announcement came word that not only are they buying up LFL, but an entirely new Star Wars trilogy is on the way, starting in 2015. This isn’t entirely unexpected, nor unwelcome news. Disney did pretty well with Marvel’s recent film lineup, we think, and there’s really nowhere for the Star Wars movies to to but up after parts of the Prequel Trilogy.